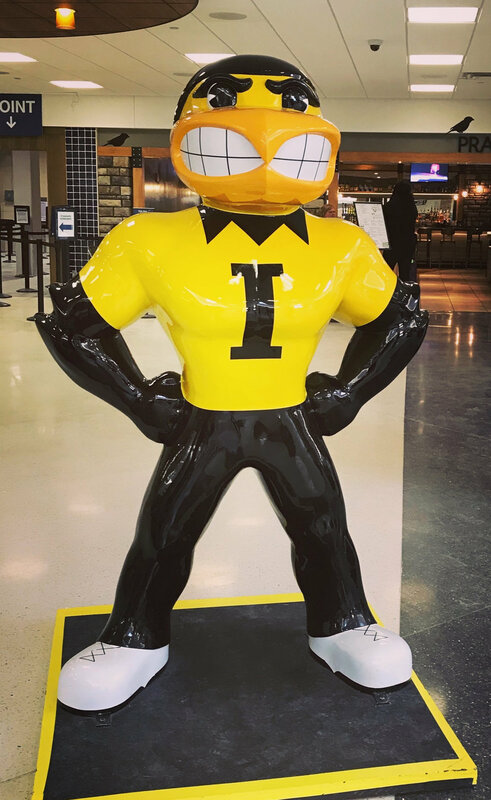 I’ve just returned from the University of Iowa, where I gave an invited talk (Dialects on the Move: What Accent Change in Mobile Speakers Can Reveal About People, Phonology, and the Lexicon) in the Department of Spanish and Portuguese and otherwise had a great time chatting with faculty and students! 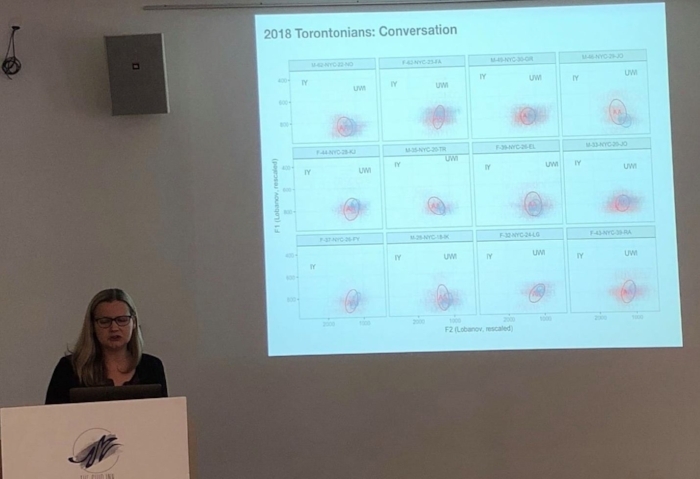 In July I gave a keynote talk, Transnational Mobility and Accent Change: Theoretical and Methodological Opportunities for Sociophonetics, at the 2nd Workshop on Sociophonetic Variability in the English Varieties of Australia in Brisbane. Here's me during that talk, presenting some early findings from my NSF project! Thanks to James Grama for the photo! Just back from giving the keynote talk (Change and Variation in Canadian Expats) at Change and Variation in Canada 10 in Winnipeg, Manitoba, where I had an excellent time discussing the Canadian Shift and other vowelly matters with fellow attendees! Shannon Mooney and I also presented our work on vowel convergence at the most recent Acoustical Society of America Meeting in New Orleans! Last Thursday I gave two talks at University of Toronto: a Canada Research Chair-sponsored talk to the Linguistics Department ("Accents on the Move: What Mobile Canadians Reveal About Phonological Variation and Change") as well as a guest lecture in Sali Tagliamonte's graduate seminar on Stylistic Variation. The U of T linguists were a great audience in both cases!